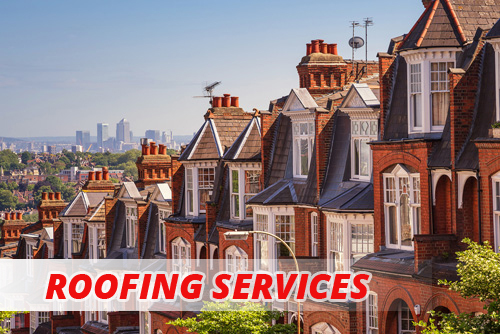 Roofing Company Twickenham | All roofing services, roof repairs, new roofs, guttering in Twickenham. 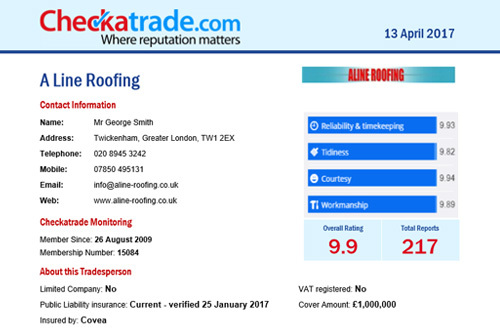 Aline Roofing are a family run business, established for over 25 years. We provide the full range of roofing services from repairs to installing new roofs. Our work is guaranteed, references are available and naturally we hold full public liability insurance. Based in Twickenham we cover a wide area throughout Middlesex, London, Surrey, Berkshire and Buckinghamshire. No job is too big or small. If you would like us to provide you with a free, no obligation quotation please call us on 0208 945 3242 or use the quotation request form. We're here to help. Call In the experts to discuss what type of roof you need for your property. There are many different materials, styles, textures and colours of tiles available…. Missing roof tiles? Broken fascia boards? Leaking roof? Do not despair, we can fix any roof no matter how big or small …. We install maintenance free uPVC guttering, fascias and soffits. Stylish and guaranteed to last decades.Alternatively, we can also repair your existing guttering. Repair and replace flashing on roof. Waterproof paint to lead gulley on side extension. New guttering front and back and down pipe. Repaired leak on flat roof, cleaned moss from roof.